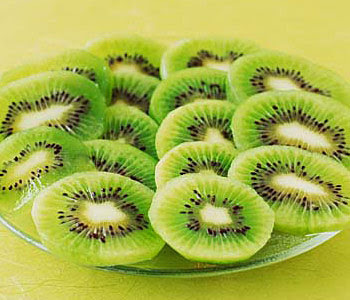 Kiwifruit is the most nutritionally dense. Plus it makes the short list of fruits with substantial amounts of vitamin-E and contains more vision saving lutein than any other fruit or vegetable except for corn. Participants who ate two or three kiwis for 28 days significantly reduced their potential to form a clot. They also got a bonus benefit. Their triglycerides a blood fat linked to heart attack dropped by 15 percent.